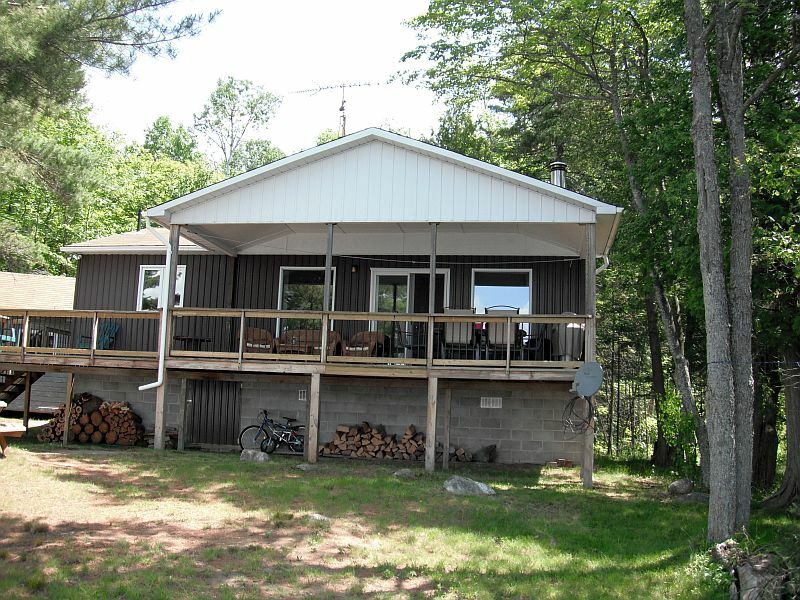 Coe’s Comfy cottage is a great cottage for a family vacation. 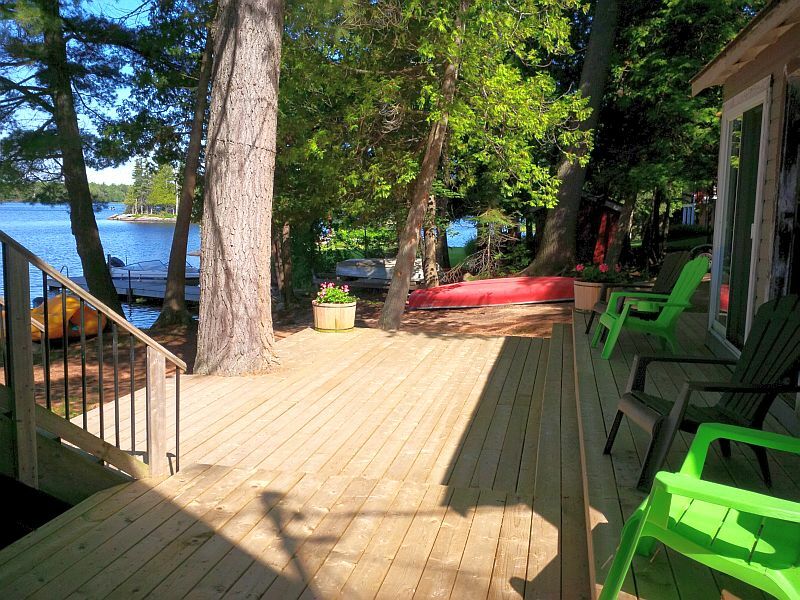 Located on Ahmic Lake and close to the village of Magnetawan this cottage has lots of room for children to run about outside, a small sandy beach on which to play, and paddleboat for exploring the lake. 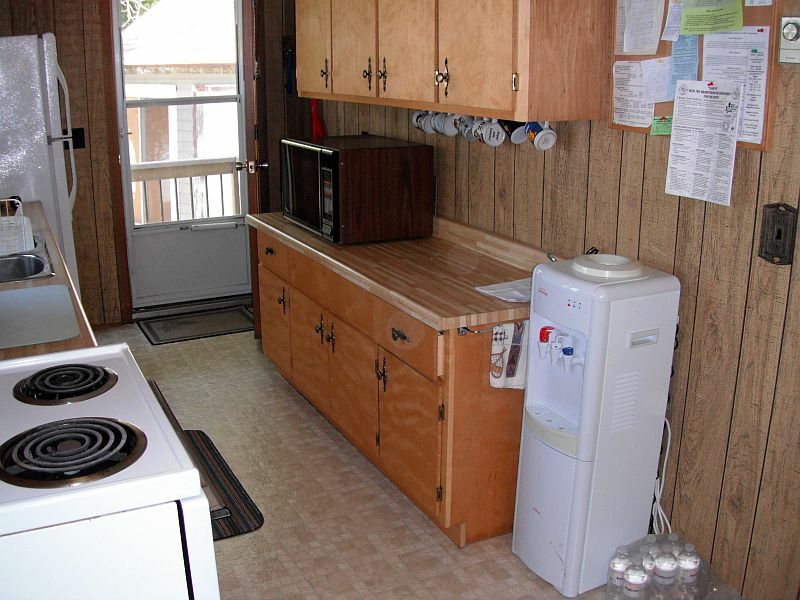 The fully-equipped kitchen has a fridge, small stove, microwave and coffee maker. There is a dining table for four in the kitchen area, but the gentle breezes cooling the covered porch will make it a favourite place to enjoy the evening meal. This is also a great spot to watch the beautiful evening sunsets. 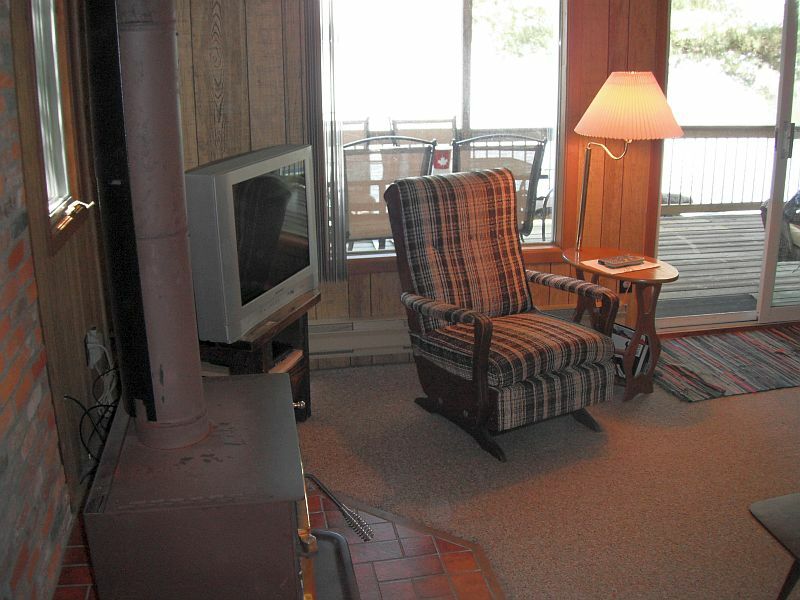 The living area of the cottage is comfortable with several couches. 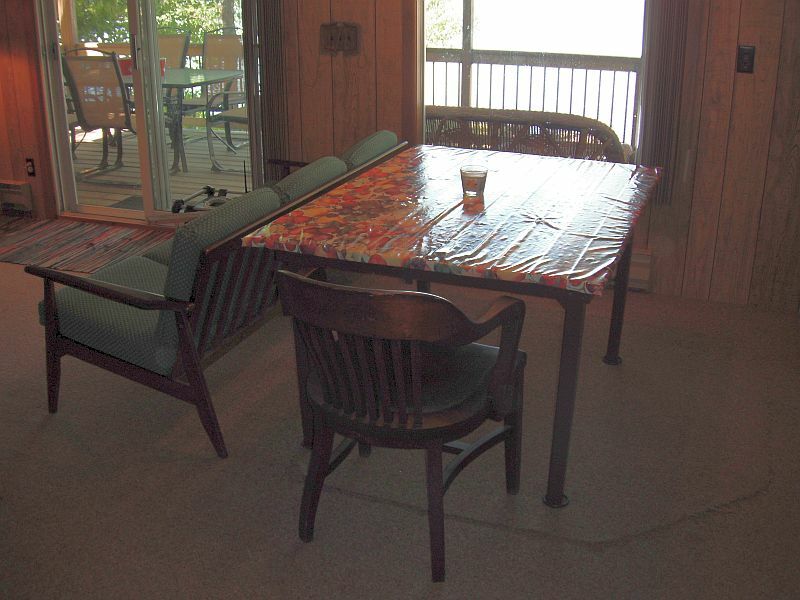 Board games, satellite TV, and DVD player are provided. 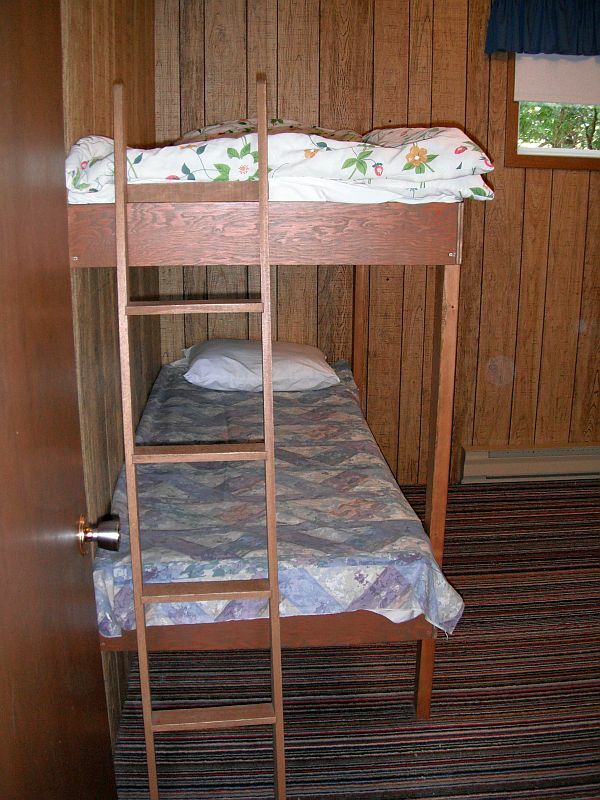 There are three bedrooms in the cottage, one with a double bed and single bunk beds; and the second and third have queen beds. 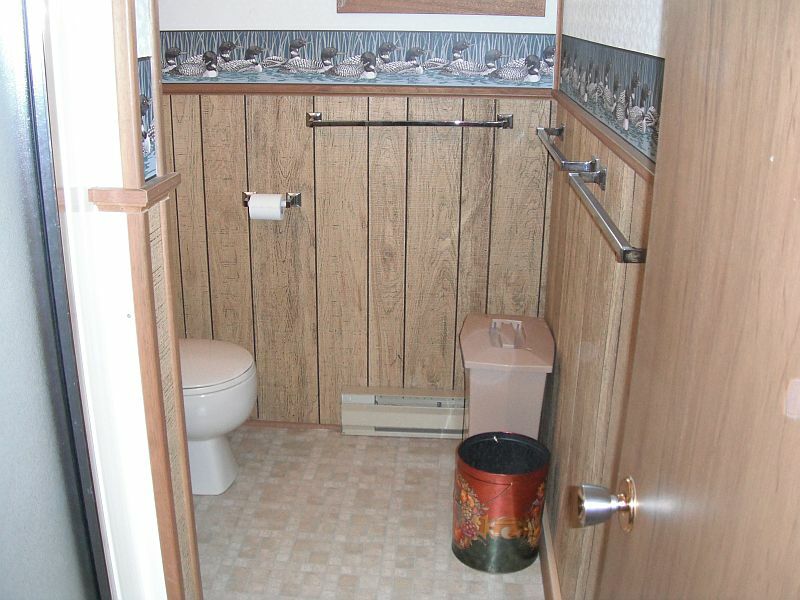 There is one three-piece bathroom with a shower. 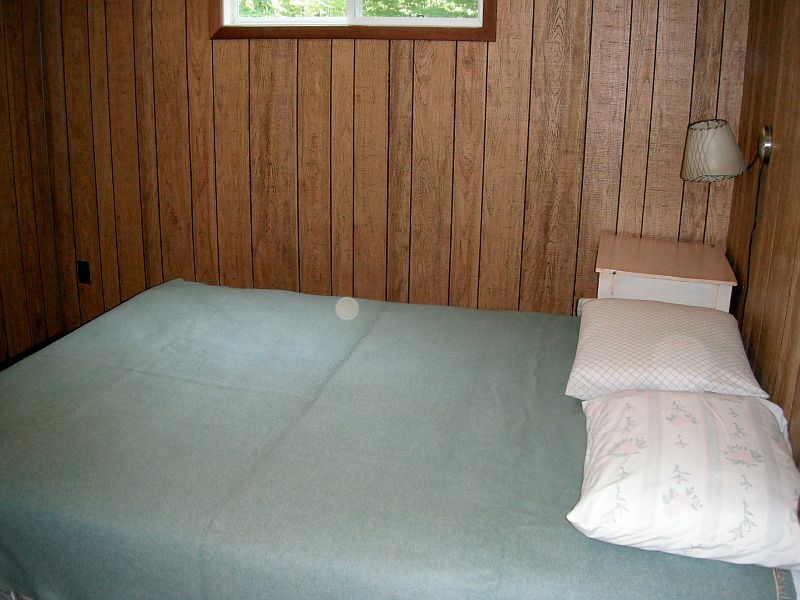 The cottage has lots of warmth and character. Relax outside on the covered deck with its dining table, barbeque, patio furniture, while enjoying the views of the water and the cooling breezes. 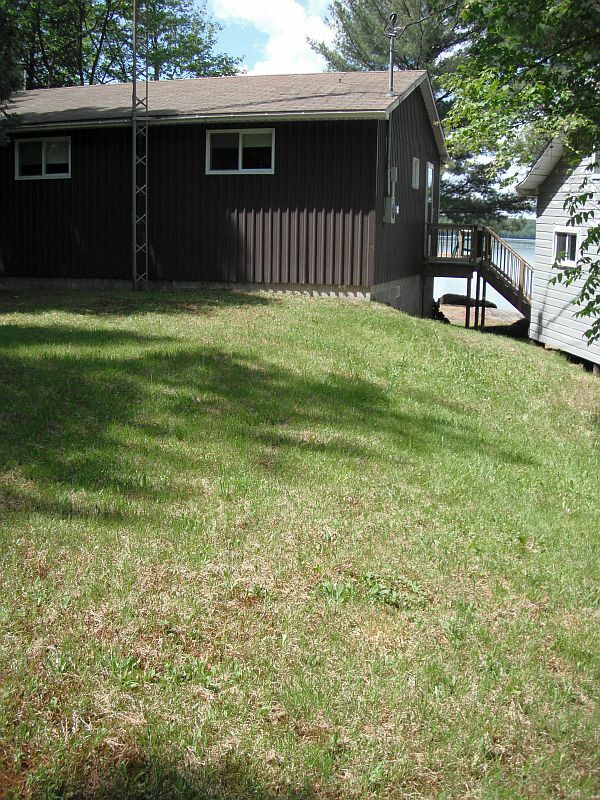 A level yard leads down to the lake. 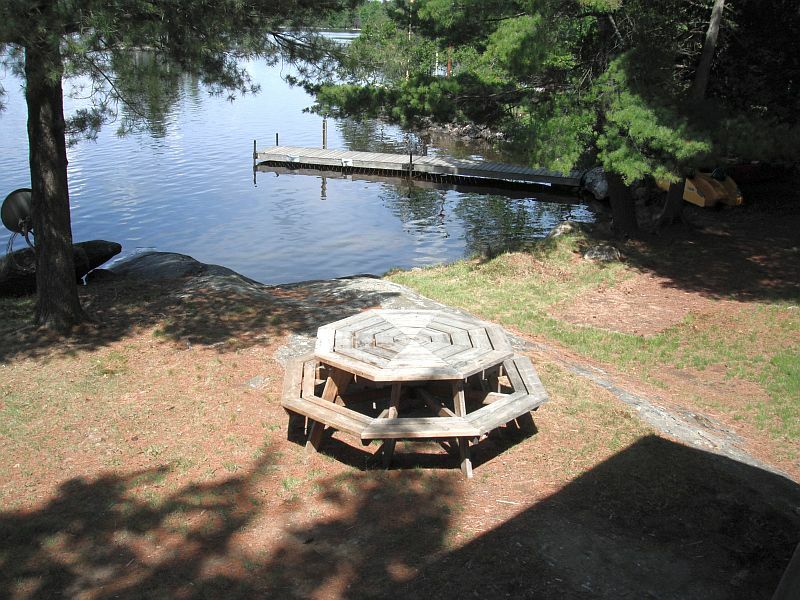 Here there is a small sandy beach that the children will enjoy, and a shallow entry into the water with its firm, sandy bottom.A fire pit near the water will complete the experience with toasting marshmallows and having campfire sing songs. 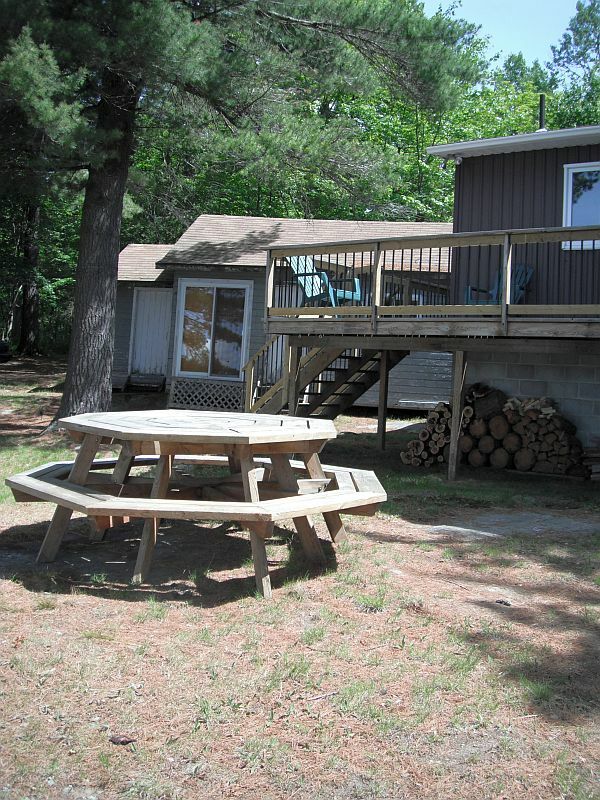 Coe’s Comfy Cottage is about forty minutes from Parry Sound, with its grocery stores, quaint shops and restaurants, the West Parry Sound District Museum, the Bobby Orr Hall of Fame, golf courses, and the nearby Sequin Trail. Both the Festival of the Sound, toward the end of July, and the Stockey Center provide an option of live entertainment. For an extra special excursion, the Island Queen Cruises explore the many islands of Georgian Bay. 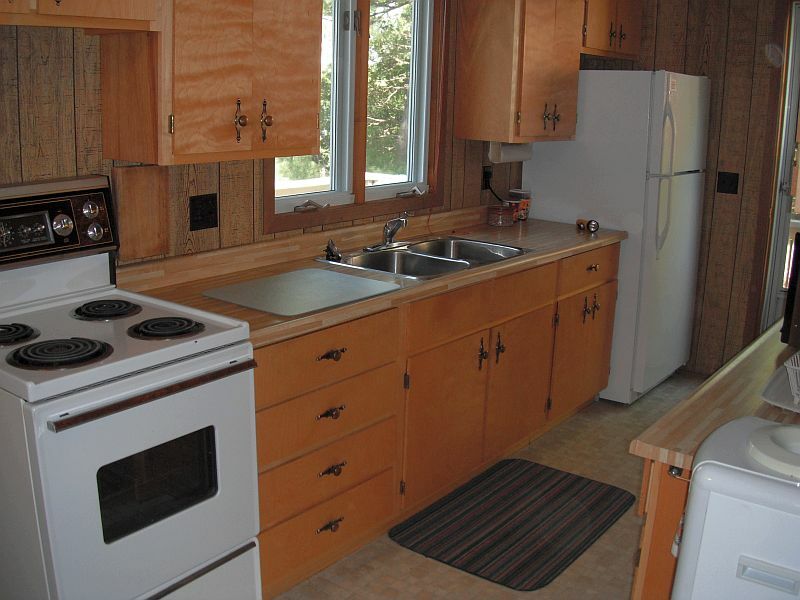 So take a visit to a northern paradise at Coe’s Comfy cottage on Ahmic Lake. $1,040 per week during off-season. $265 per night during holiday weekends in off-season (minimum 3 nights).